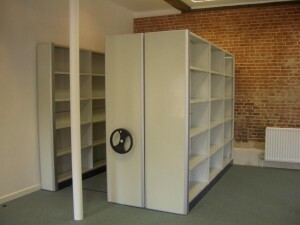 Hampshire Mezzanine Floors use Dexion office shelving like the SYSCO Office shelving range. 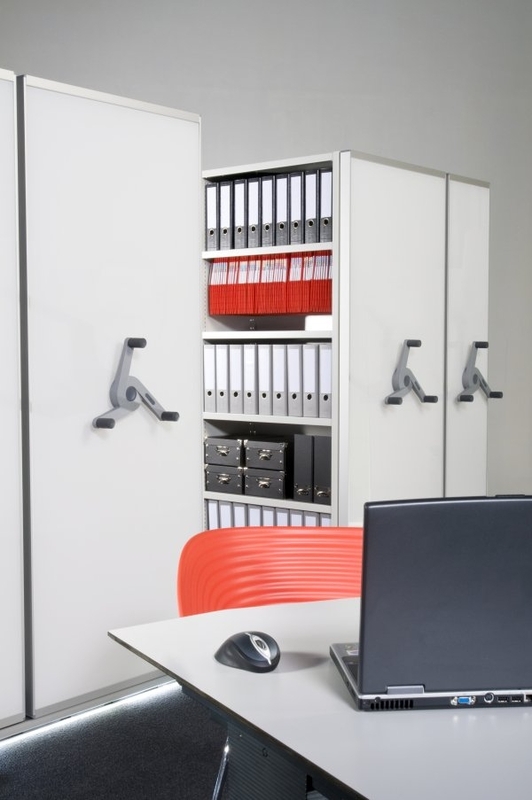 Sysco has been designed to suit the versatile office shelving market and as it is aesthetically pleasing, can look good either shut away in a store room or actually fitted in the open office environment, to complement the office furniture layout. 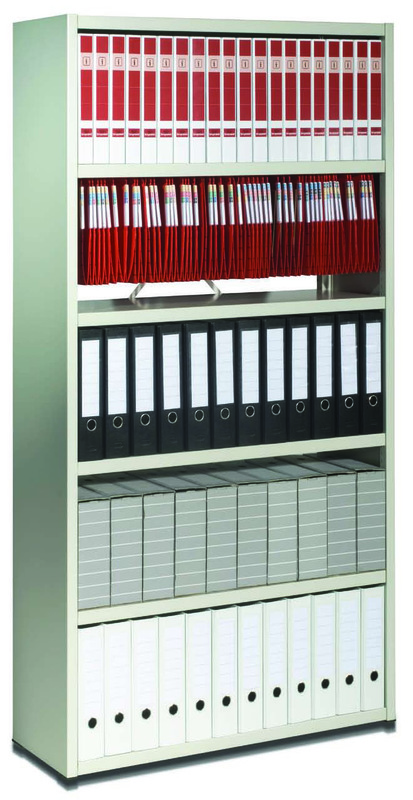 Sysco does it all, with a full range of accessories such as office filing rails, lockable doors and pull out reference shelves. All Sysco Bays can be mounted on Mobile Bases to make space efficient mobile shelving, and being a modular system you can add bays on at any time, making Sysco a truly flexible office shelving product. 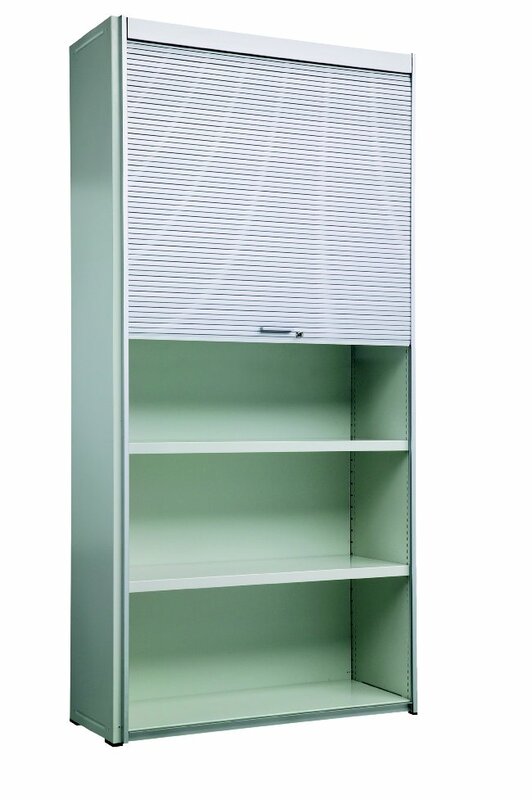 Decorative end and back panels can be added to turn Sysco shelving into an attractive office furniture item. Hampshire Mezzanine Floors can design a office shelving layout and deliver and install in one easy cost effective package.